In the competitive, fast-paced business environment, leaders must have the ability to engage and inspire their people to drive results. Leadership through facilitation provides leaders with the tools and strategies to move their management skills to the next level. Leaders learn how to employ the eight key principles for “Taking a Facilitative Approach (TAFA)” to leadership, including: “Connect first, correct second”; “Ask and empower, don’t command and control”; “Set the vision, not the solution”; and “Seek participation, not just input.” During this workshop, participants will learn how to use the TAFA principles to become a facilitative leader. Executives, division heads, managers, supervisors, team leaders, learning and development specialists can improve self-awareness and strengthen their leadership skill set. Our The Facilitative Leader workshop is an interactive, modular series of sessions that equip new and experienced managers alike with a framework for understanding the role and impact of successful leaders. 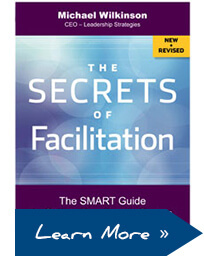 You will learn how facilitation principles can enhance your ability to spur positive action within your organization. We’ll define key qualities of teams, managers and leaders, share methods for building trust, explain a demonstrated technique for giving praise, and outline a useful decision matrix. By the end of this dynamic training, you’ll have an action plan for skillfully and confidently empowering, engaging, inspiring, guiding – and leading.